Pests like insects, mice and small animals are often attracted to homes where maintenance problems go unaddressed, so homeowners who want to protect their house from pests can do so by staying on top of certain home maintenance practices. 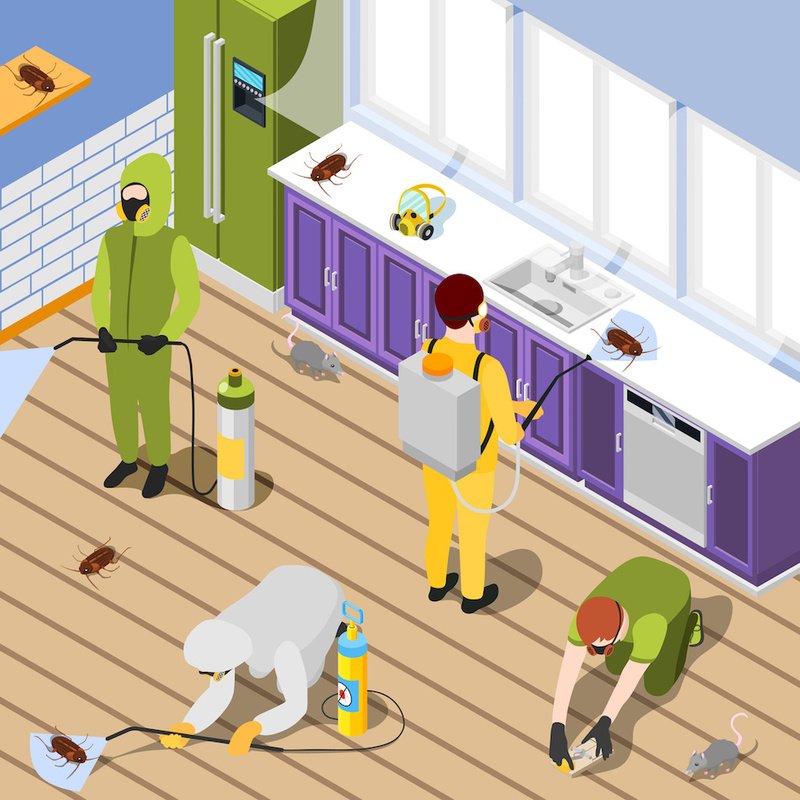 These tips can help homeowners who wish to manage their home maintenance and avoid pest infestations. Pests of all kinds can enter the home through holes in the roof and exterior siding. Sometimes these holes are very small, allowing small animals and insects into the house. Other times the holes are very large, and allow larger animals to gain access to parts of the home like the basement or attic. Homeowners can avoid these problems by periodically walking the perimeter of their home and looking for cracks and other ways that animals can access the house. Getting regular roof inspections can help, as some animals will create holes by chewing through boards or screens that protect attic vents. When a hole or crack into the home is discovered, it must be properly covered. Caulking can be used to seal cracks, while hardware cloth can cover larger holes. Hardware cloth is especially helpful in parts of the home where proper ventilation is important. Leaks can attract pests in a variety of ways. Pests seek out leaks because they need water. When leaks are left unrepaired for a long time, the resulting wood rot can create an inviting environment for wood-eating pests. Fixing leaks as soon as they're identified is a good way to prevent pests from nesting in the home. Homeowners who wish to stay on top of leaks in the home can do so by checking under sinks for wet areas, repairing faucets as soon as a drip develops and by watching their water bill for unusual spikes in activity. Cleaning the house on a regular basis can prevent pests from finding food to eat or material to use for their nest. In particular, cleaning activities that dispose of food waste are very important. Clean the kitchen and dining room thoroughly after every meal. Take out food trash nightly. Sweep in parts of the house where food was consumed. Many homeowners find that it helps to spend a few minutes cleaning each room of the house every night. Spending some time each day cleaning the house can help keep the house relatively tidy and pest free. Clutter like extra papers and piles of clothes can attract pests seeking nesting materials. Clutter also makes hiding in the house easy, which can in turn create an inviting environment for insects and rodents. Clearing clutter from the home can help. Often homeowners find that clearing clutter from the home is a long and involved process that may involve holding a garage sale, leasing a storage unit and throwing away old possessions. Although this process can be labor intensive, clearing clutter from the home can make it much easier to keep away and remove pests from the home. The signs of pest infestation can be subtle, especially at first. Homeowners must watch for these signs, and call a pest control company as soon as possible if any signs are identified. Holes chewed through cardboard boxes, walls or food bags. Chewing or scampering sounds in the walls, ceiling or in the room (especially at night). Homeowners who have problems with pests can protect their San Rafael home by working with a pest control company. Many companies offer regular service to customers in their area. Signing up for annual service from a pest control company can help prevent any infestations from reaching unmanageable levels.